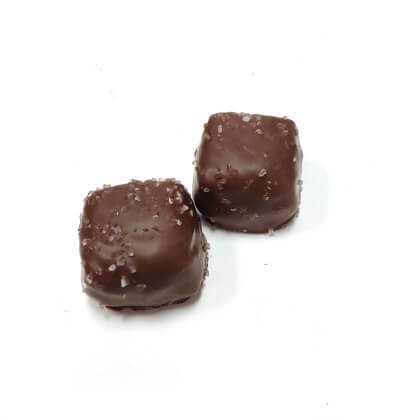 Sugar free gourmet milk chocolate covered vanilla caramels with sea salt. Approx. 12 pieces. Pearls .5lb box.